With the release of KDE 4 a new feature was added that, at first, seemed to be more confusing than anything else. Although the theory behind the idea was simple, the execution made the idea overly complex. The idea was this: You break the desktop up into activities so each desktop is very well defined by what that desktop does. You could have one desktop for writing, one desktop for programming, one desktop for entertainment. This seemed like a redundancy in Linux, what with the existence of the pager and all. But as KDE grew a bit older and wiser, the usage of this feature become more and more clear. Now, in this Ghacks article I am going to help you to understand exactly why this feature is something you will certainly want to use to keep your desktop as organized as possible. 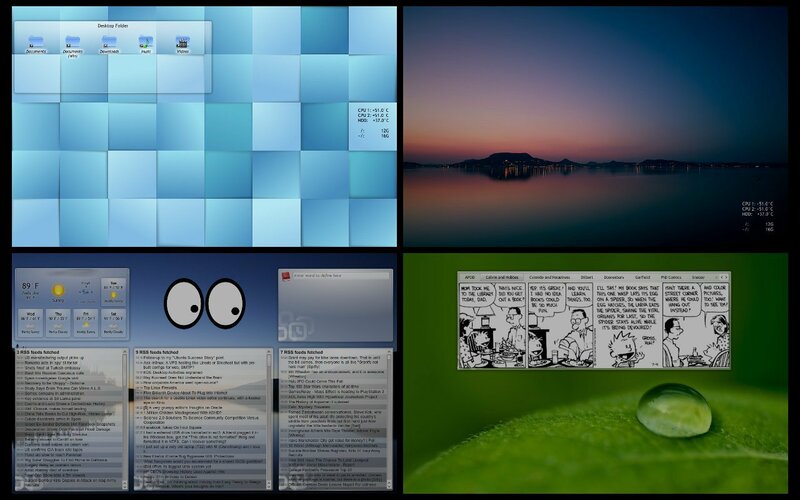 Image this: You have a desktop for each of four activities (We'll just say "A, B, C, and D"). This is simple to break down using the Linux pager. You would have Activity A on Desktop 1, Activity B on Desktop 2, Activity C on Desktop 3, and Activity D on Desktop 4. Now let's say these activities become quite busy. You would then have a lot of windows open on each activity, making a veritable mess out of your efficient workspaces. Now, take that idea and expand it with KDE Activities. Each Activity now has it's own multi-dimensional workspace. Each Activity has however many workspaces you have defined on your desktop. So if you have four workspaces each of those activities will have four workspaces to use. As well, you can associate specific windows with specific Activities (or specific workspaces within a specific Activity). This allows you to organize your activities with much more control over the standard method. Confused yet? Let me walk you through the process of creating an Activity, giving the activity a name, and then associating a window to an activity. To create an activity hit Super-Q key combination, which will bring up the Activities manager pane (see Figure 1). From this panel click the New Activity button which will bring up a popup menu. In this popup menu you will have various types and numbers of Activities, depending upon your installation. Let's make this simple, so select "Desktop". This will add a new, standard, desktop activity on your machine. This activity will be named "Unnamed". To rename that activity make sure you have the Activity selected you want to rename right-click the desktop and select Desktop Settings. In this new window select Activity and then give the Activity a new name. Once you have done that, click OK and your Activity will now have the proper name. This is where it starts to become obvious how effective activities can be. Let's say you have a desktop Activity associated with Writing. For that activity you use a word processor, a web browser, and some other random applications. To associate those windows with your new Activity right-click the title bar and then click Activities > Writing (Or whatever you have named your new Activity). Now that window will ONLY be visible on that particular activity. You can then open a completely different window (of the same application) and associate with a different activity. The concept of Activities isn't the easiest to understand until you actually start working with it. But once you get the hang of it, you will certainly appreciate what it brings to the desktop. We go into more depth on the subject of Activities in future articles. What is a “worspace” for you? Is it a virtual desktop? Just another failed attempt to explain activities concept. Super+Q doesn’t work with KDE4.4. Given your screenshot I think you are using 4.5. As a result I am unable to follow the article you’ve written. I just find KDE4.x overly redundant. Whats the point of workspaces then? Each activity is a ‘group’ of virtual desktops. So instead of confining your windows to a single vDesktop for each task, you can have more than one vDesktop assigned to each task. If my ‘pager’ shows 2 desktops, it is only showing the desktops for that activity. If I switch ‘activities’ then the pager will show a different set of 2 desktops. This also comes with the benefit of work-specific widgets like folderviews opened to specific folders. Also, in KDE 4.5 Super+Q isn’t the only way to get to that screen, you can also right-click the desktop and click ‘Activities’. That is not true, at least in KDE SC 4.4.4. The pager show the same set of desktops. They changed the interface for using activities in 4.5, and this article does showcase the 4.5 version. In 4.4 you can still access activities by clicking on the plasma toolbox (the thing in the corner) -> Zoom Out. You can also add and remove activities with the desktop’s right-click menu. For me, I find it easier to have separate activities as separate virtual desktops (kde >=4.3.x). Basically, a virtual desktop can be made to contain any array of plasmoids (widgets) that suits its purpose. For example, my third virtual desktop is my newstand that contains RSS feeds, weather reports, etc. Of course, not all widgets are for leisurely activities, as one can throw up multiple folderviews for different directories to highlight current projects, multiple terminals, etc. I use to have different activities, which each had four virtual desktops, but I found that a little redundant. I find activities to be pretty cool, but it isn’t quite there yet when it comes to stability unfortunately, as an xsession crash can lead to the corruption of ~/.kde4/share/config/plasma-desktop-appletsrc, thus destroying whatever activities one made. That is why I keep a backup and wrote bash-script to deal with such a scenario. It should be noted that they made some major changes to the way that activities work in KDE 4.5. First they removed the zoom out feature in favor for the new activies manager. Second, they added the ability to associate applications/windows with activities (so now an application can be associated with either one or all virtual workspaces/desktops and/or one, any or all activities). Previously, activities were practically just virtual workspaces for plasma. * The configurations about windows management must be separeted. For example, I could set to use tilings in a activitie named “Development”, in other named “Entertainment” no. * It could be possible to have a dashboard for each activie. * The window list plasma must show only the windows in the actual activity. Kde 4.5 was a great improvement, I hope those questions raised and some others will be fixed. I don’t know what this is, and Google didn’t help me either. In my case, it worked using Windows Key + Q. I think Super Key is Windows Key in Windows keyboards.